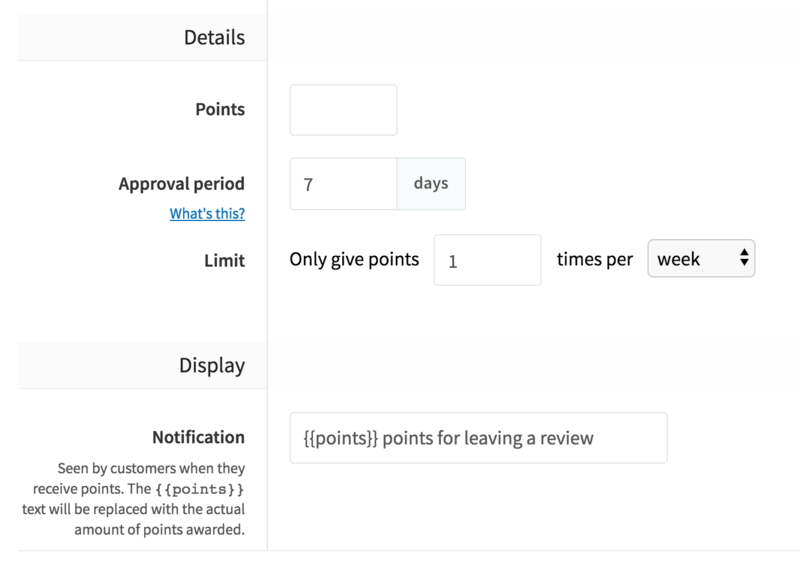 The integration allows you to award points to your customers when they submit after purchase reviews (not checkout reviews). To set up the installation you must have Stamped.io installed. 2. Select "Leave a review via Stamped.io"